ALF LEES: 'Stimulus package' or formula for debt, poverty and unemployment? 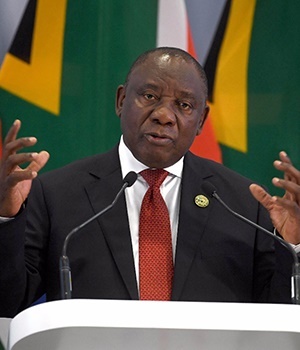 We recently got news that President Ramaphosa is planning to roll out a stimulus package to the value of R43bn. It also came to light that SOEs might be receiving a R59bn bailout package. If this is the case, and without any budget cuts, there would be an increase in expenditure of R102bn. In addition to this, there has already been upward pressure on expenditure, with the public sector wage bill estimated to be R30bn more over the medium-term period than what was budgeted in the 2018 National Budget. On the revenue side of the equation, it seems that revenue collection for the 2018/19 year will fall short by approximately R30bn. Assuming that the fiscal stimulus package will roll out over the medium term, it is plausible that government expenditure may exceed revenue by some R280bn for 2018, up from the R180bn target set out in the National Budget in February. This situation could be avoided if expenditure is reprioritised; in other words, cutting expenditure in other areas. However, based on the trend of the past few years and the fact that it is an election year, it seems more likely that there will once again be a budget blow-out, and the deficit will need to financed by higher borrowings. Putting this into perspective, and even before considering the above-mentioned factors, the National Treasury expected net debt to reach R2.5trn this year, and expected debt servicing cost to reach R213bn in 2020/21. This is diverting funds from services delivery and job creation. Case in point, in 2020/21 it is expected that there will only be R113bn allocated to policing services and R26bn on job-creation and labour affairs.If you think R213bn on servicing debt is outrageous, National Treasury is expecting debt servicing cost to increase to R276bn by 2023/24 without considering the latest proposed stimulus package and rumoured bail-outs. This untenable position and the government’s policy response is increasing the probability of sovereign credit downgrades, which in turn increase the cost of borrowing. A further downgrade will further push up debt servicing cost and make attracting investment harder. In this low economic growth and high interest rate environment, South Africa will fall deeper into a debt and poverty trap, giving little hope for the 9.6m people unemployed or who have given up looking for a job. Since the 2009 financial crises, South Africa has been in a phase of counter-cyclical expenditure, which was appropriate just after the crisis, but now it is just used as a justification for unsustainable expenditure under the flagship of a fiscal stimulus package. South Africa has run out of fiscal space for this type of action, and it is simply the wrong response. As economist Iraj Abedian captured the situation, "We are in a state that is the consequence of a structural hollowing out of the economy. And, therefore, a turnaround strategy required is not a stimulus package, but a turnaround three-year or five-year plan." As this hollowing out of the economy is continuing to take place, and Ramaphosa's plan seems to be to dig the hole deeper, South Africa will find it harder and harder to crawl out of this hole, which is essentially a debt, poverty and unemployment trap. The only way out of this trap is to freeze all non-inflation linked tax rates and other levy increases, clean governance, new political leadership, an enabling environment for businesses to grow and to create jobs, and for an economic policy direction shift to take place as a matter of urgency. Alf Lees is the DA’s Deputy Shadow Minister of Finance.